By default, the percentage change value displayed on Datablocks is GREEN when the metric value has increased, and RED when the metric value has decreased. However, there are some cases where an increase in the value does not signify a positive change, and vice versa. 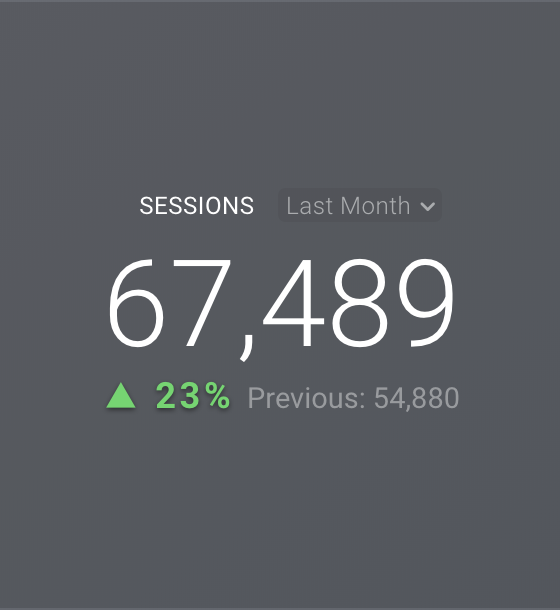 For all Basic Metrics, the percentage change color is set by Databox developers. 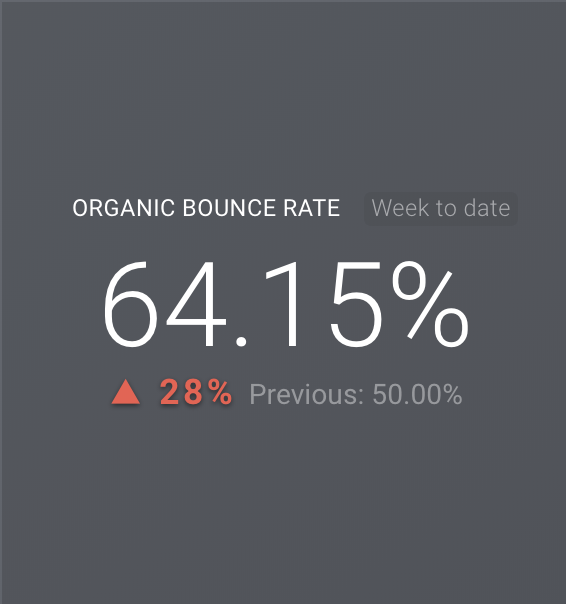 Metrics like "Bounce Rate" from Google Analytics and "Churned Customers" from ProfitWell are inverted so a positive change is displayed in red, and a negative change is displayed in green. If you create Custom Metrics using the Query Builder or Calculated Metrics using the Data Calculations tool, you may need to manually invert the percentage change color for your metric. 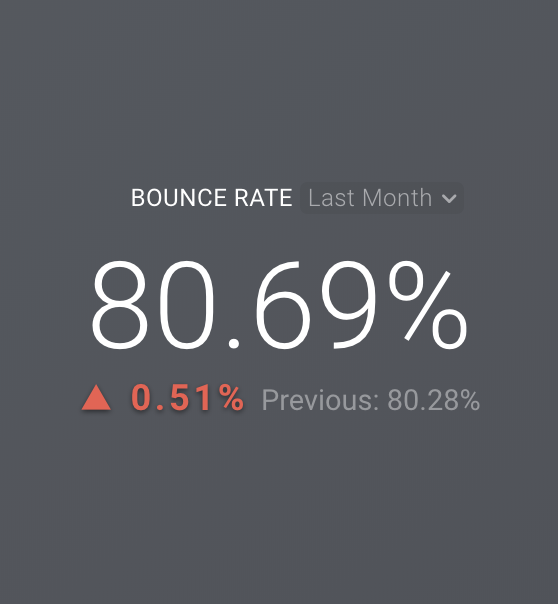 Let's work through an example of inverting the percentage change color for a custom Google Analytics metric called "Organic Bounce Rate." 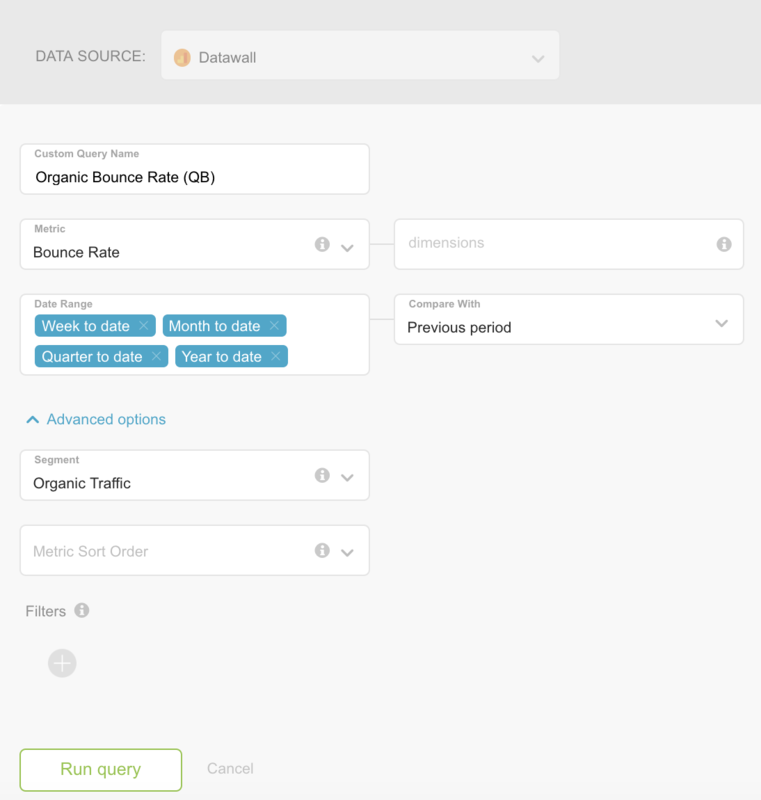 First, navigate to the Data Manager and find the Data Source that the custom metric is coming from. Click the dropdown arrow next to "Details" and select Edit metric keys. Use the Search box to find the metric key for your Custom Metric. Select the checkbox in the column labeled "Invert." That's it! The percentage change is now inverted for your custom metric. You can see the full process in the recording below.